Do you know a group that is interested in a community service project? We are looking for group volunteers to “Adopt-A-Boat Ramp” at 5 local Boat Ramps! 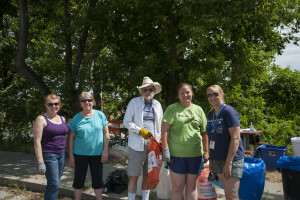 We are looking for groups to adopt their local boat ramp at Lawrence Riverfront! 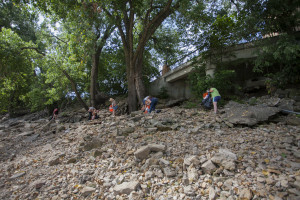 The Lawrence 8th Street, Eudora, Edwardsville and Turner boat ramps has been adopted! 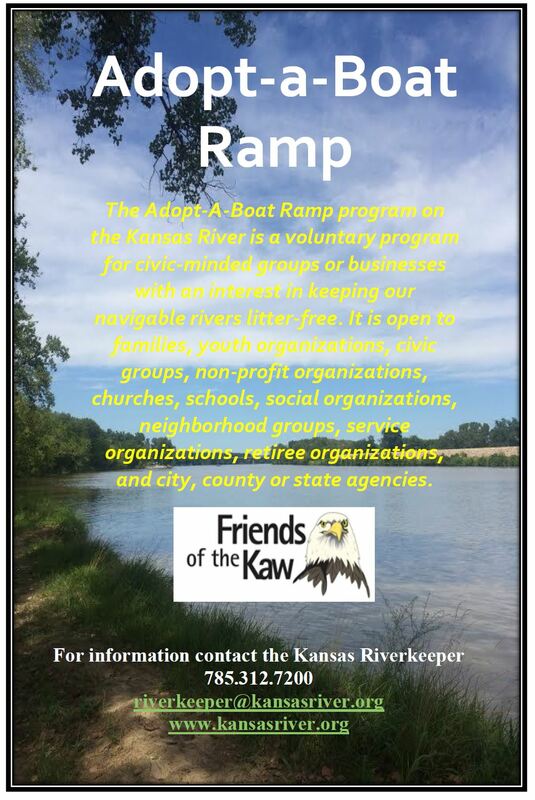 The Adopt-A-Boat Ramp program on the Kansas River is a voluntary program for civic-minded groups or businesses with an interest in keeping our navigable rivers litter-free. It is open to families, youth organizations, civic groups, non-profit organizations, churches, schools, social organizations, neighborhood groups, service organizations, retiree organizations, and city, county or state agencies. In exchange for your hard work, we will put up a sign that designates your group at the local adopter! Contact the Riverkeeper, Dawn Buehler, at riverkeeper@kansasriver.org or call 785.312.7200 to learn more! DeSoto Boat Ramp update from the City of De Soto: We are gearing up for the City’s annual 4th of July at Riverfest event with the band, vendors, and fireworks show on the evening of July 4th. The boat ramp at De Soto’s Riverfest Park will be closed from 6:00 p.m. on the evening of July 4th, until 6:00 a.m. on the morning of July 5th. Due to the fireworks setup and the perimeter that must be maintained, the boat ramp must stay closed as no one will be able to enter or exit during that time frame. Cedar Creek Boat Ramp update from Johnson County Parks & Recreation: This boat ramp will be closed Saturday, July 2 through Monday, July 4. Tickets on sale now….two showings this year! The evening begins at 7:00 pm both nights. Tickets are $50 per person and proceeds benefit the Kansas River! 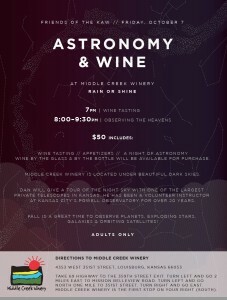 Come and enjoy an evening under the stars at Middle Creek Winery! Enjoy a tour of the night sky with one of the largest private telescopes in Kansas by Dan Johnson. Dan has been a volunteer instructor at Kansas City’s Powell Observatory for over 20 years. Purchase your tickets online via our paypal account! Contact the Riverkeeper at riverkeeper@kansasriver.org or call 785.312.7200. 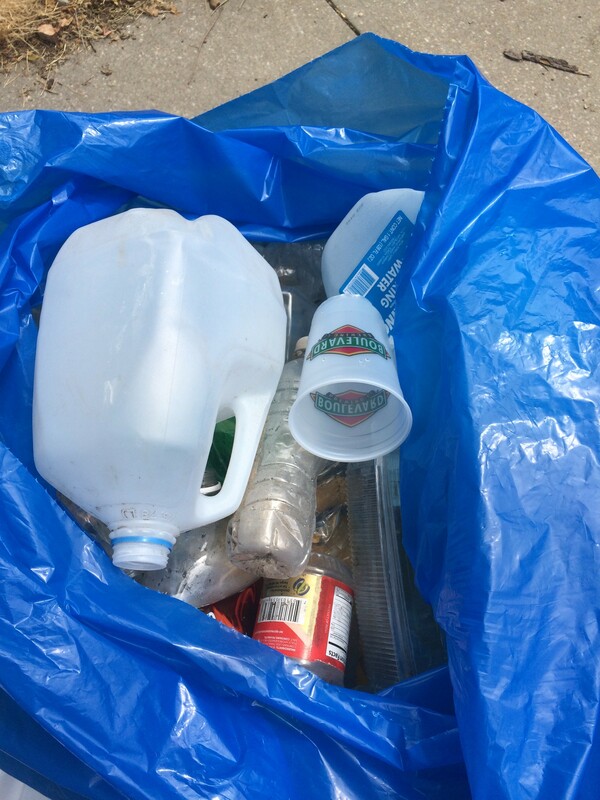 18 bags of trash and 23 bags of recyclables including plastic bottles, aluminum cans, glass bottles, cardboard, metal, wire, an old used cemented wheelbarrow, a backpack, clothing, a styrofoam minnow bucket, and many other things. Thank you to all who took the time out of their Saturday to come down and help keep our river clean! And a special thank you to Cale Ruiz for the volunteering his talents to take photos! Ready to Paddle the Kaw? See if one of these events will work for you! 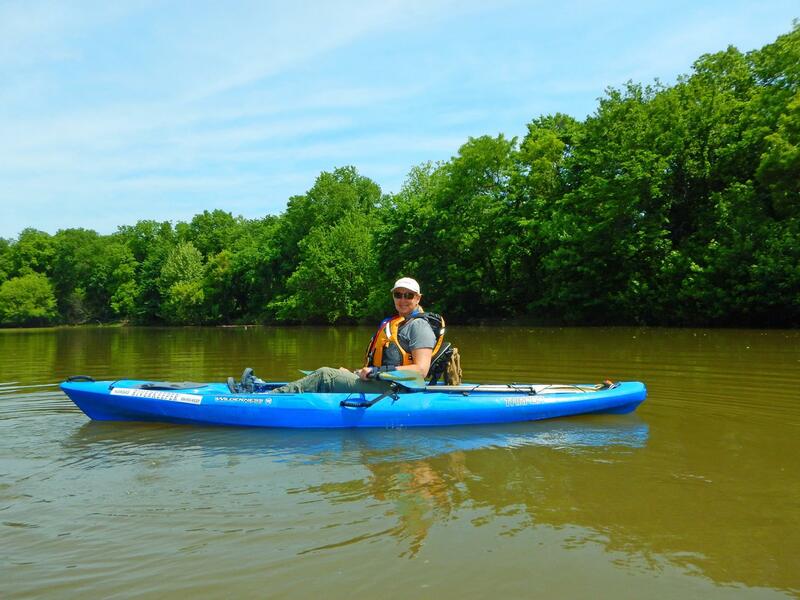 Sunday, July 10 – Kansas River Cleanup Paddle from DeSoto to Cedar Creek, 1:00 pm to 5:00 pm. This event is FREE and paid for by our Johnson County Stormwater Grant! You must RSVP to the Riverkeeper: riverkeeper@kansasriver.org. First come, first serve – 16 spots available! THIS IS ONE SPOT AWAY FROM A SELL OUT! You can still join us if you have your own kayak or canoe! Saturday, July 16 – Little Apple Paddle from Manhattan to St. George, times TBD. Contact Marcia Rozell to reserve your spot…. 785-537-3030 marcia@manhattan.org. Sunday, July 24 – Kansas River Cleanup Paddle from DeSoto to Cedar Creek, 9:00 am to 1:00 pm. 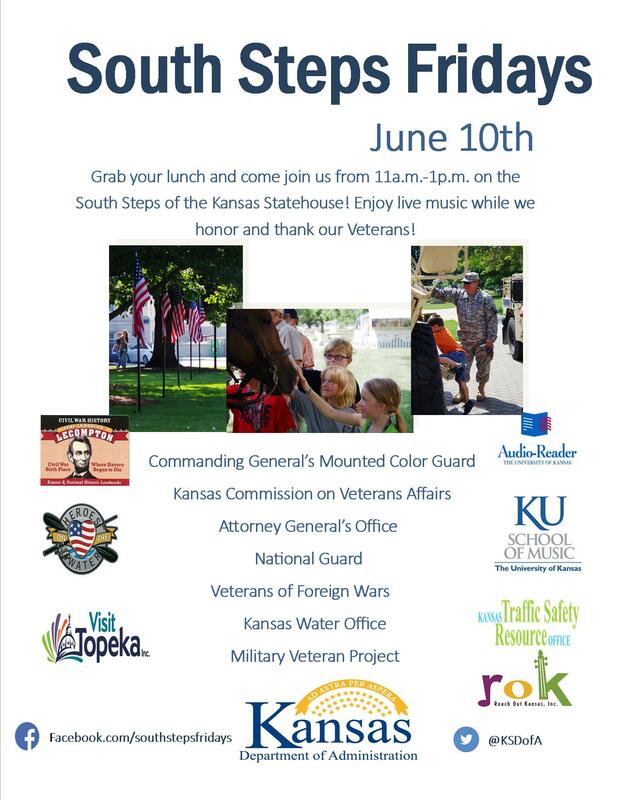 This event is FREE and paid for by our Johnson County Stormwater Grant! You must RSVP to the Riverkeeper: riverkeeper@kansasriver.org. First come, first serve – 16 spots available! Saturday, July 30 – Lawrence Greenwish Group! Come join us for a paddle on the Kaw from Lecompton to Lawrence from 9:00 am to 3:00 pm. We ask for a $30 donation for a paddle spot, kids in the middle of a canoe ride free! RSVP to the Riverkeeper at riverkeeper@kansasriver.org. We must have 16 paddlers reserved to have the trip! Sign up today! Saturday, August 6 – Water Matter’s Day in Manhattan at the city pool! Saturday, August 20 – Koehler Group! Come join us for a paddle on the Kaw from Lawrence to Eudora from 8:00 am to 2:00 pm. We ask for a $30 donation for a paddle spot, kids in the middle of a canoe ride free! RSVP to the Riverkeeper at riverkeeper@kansasriver.org. 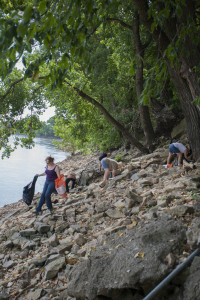 Contact Riverkeeper: riverkeeper@kansasriver.org to see if there are spots available 2 weeks prior to date. Saturday, August 27 – Let’s Paddle the Kaw! Come join us for a paddle on the Kaw from DeSoto to Cedar Creek from 9:00 am to 1:00 pm. We ask for a $30 donation for a paddle spot, kids in the middle of a canoe ride free! RSVP to the Riverkeeper at riverkeeper@kansasriver.org. We must have 16 paddlers reserved to have the trip! Sign up today! Saturday, September 10 – Jayhawk Audubon Society! Come join us for a paddle on the Kaw from Lecompton to Lawrence from 7:00 am to 1:00 pm. 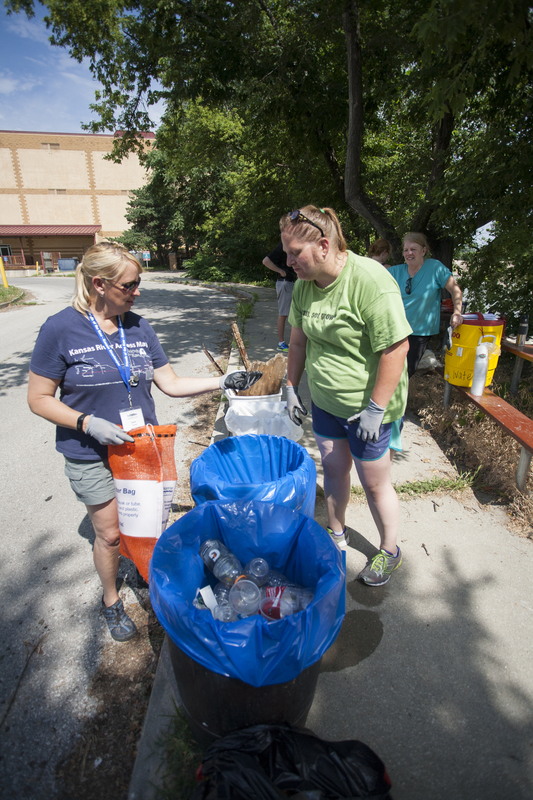 Contact Riverkeeper: riverkeeper@kansasriver.org to see if there are spots available 2 weeks prior to date. Saturday, September 17 – Homes to Watershed Paddle! Details to come! Saturday, September 24 – Great KAW Adventure Race! All day event of running, biking and paddling the KAW! Event is from Eudora to DeSoto and back….mark you calendar! Saturday, October 1 – UMKC Geology Class Paddle Trip from DeSoto to Cedar Creek, 10:00 am to 2:00 pm. 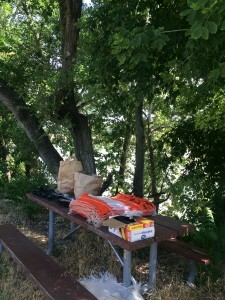 Contact Riverkeeper: riverkeeper@kansasriver.org to see if there are spots available 2 weeks prior to date. Sunday, October 2 – SMUUCH Paddle Trip from DeSoto to Cedar Creek, 1:00 pm to 5:00 pm. Contact Riverkeeper: riverkeeper@kansasriver.org to see if there are spots available 2 weeks prior to date. 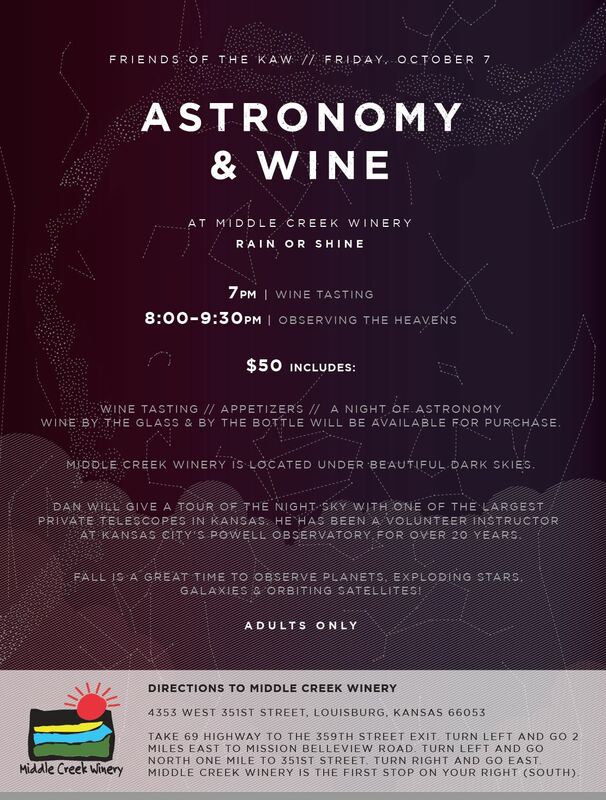 Astronomy & Wine is BACK!! Two dates this year….come join us Friday, October 7 or Saturday, October 8 for wine under the stars! Tickets will go on sale July 1st! Stay tuned for details! Saturday, October 8 – Sierra Club! Come join us for a paddle on the Kaw from St. George to Wamego from 10:00 am to 4:00 pm. We ask for a $30 donation for a paddle spot, kids in the middle of a canoe ride free! RSVP to the Riverkeeper at riverkeeper@kansasriver.org. We must have 16 paddlers reserved to have the trip! Sign up today! Saturday, October 15 – Let’s Paddle the Kaw! Come join us for a paddle on the Kaw from Wamego to Belvue from 10:00 am to 4:00 pm. We ask for a $30 donation for a paddle spot, kids in the middle of a canoe ride free! RSVP to the Riverkeeper at riverkeeper@kansasriver.org. We must have 16 paddlers reserved to have the trip! Sign up today! Saturday, October 29 – Little Apple GLOW Paddle…details to come. Contact Marcia Rozell to reserve your spot…. 785-537-3030 marcia@manhattan.org. Sunday, November 6 – “Beers of the Kaw”, a beer tasting event at Abe & Jake’s Landing, 2:00 pm to 5:00 pm….save the date! Come join us on all of our paddle trips if you have your own canoe or kayak….just RSVP with the Riverkeeper so you can learn about the logistics. We will always kindly take a donation to help cover costs and further our work on the Kansas River! For all of our paddle trips other than the FREE events, we ask for a $30 donation for a paddle spot. Children in the middle of a canoe ride for free. All money donated through our paddle programs benefits the Kansas River! 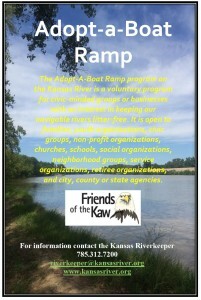 For more information, call 785 312 7200 or visit our web site at www.kansasriver.org. Must RSVP for paddle trips….email: riverkeeper@kansasriver.org for reservation. Sign up for our newsletter on our website and follow us on Facebook and Twitter under FRIENDS OF THE KAW. These are paddling experiences that we do with the Boys & Girls Club. We have 3 stations where the kids rotate. One is to seine for macros, do freddie the fish activity, and then paddle in the canoes/kayaks. For all dates we need some paddlers. In this role you will be in a canoe or kayak with a young person and teach them how to boat around the lake. We will need 4-5 helpers at each event. Let me know if you can help with any of these great events! For all events, Dawn, Laura & Kate will be there. Thanks! RSVP to the Riverkeeper at 785.312.7200 or email: riverkeeper@kansasriver.org! Did you see that George Frazier’s new book is out? 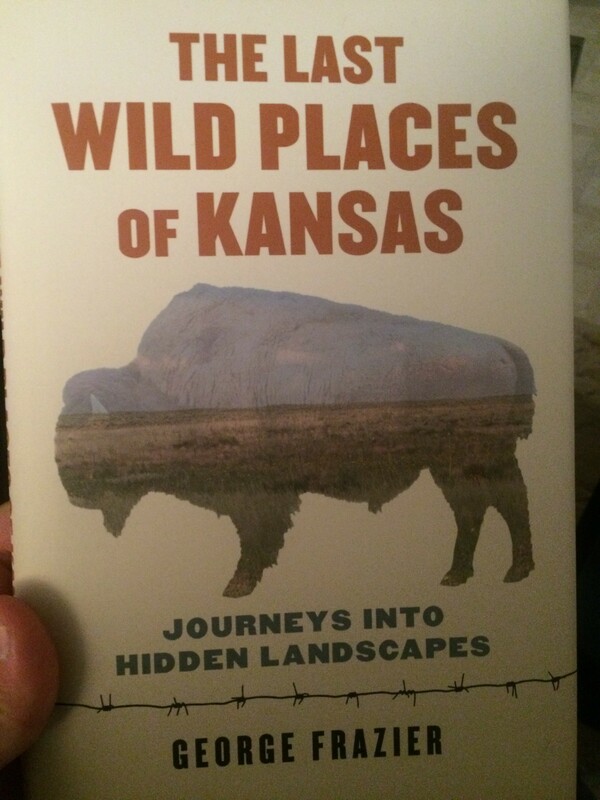 “The Last Wild Places of Kansas”….get your copy today! 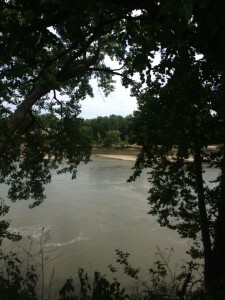 Lots of great information on Kansas outdoor adventures, including the Kansas River! The Last Wild Places of Kansas is the first book since Dave Murphy’s Paddling Kansas to take a deep look into issues related to the rivers of Kansas. The book tells the almost scandalous story of the Meek vs. Hayes supreme court case which led to the strange situation where almost every Kansas river – except the Kansas, Missouri, and Arkansas rivers and certain short stream segments above public reservoirs – are “renegade streams.” To legally float these streams, you need to get permission from every landowner on both sides for your entire float (in the book the author tries to do just that on the upper Marais de Cygnes). Luckily, our state’s riparian jewel, the Kaw, isn’t blacklisted. The book chronicles a float of the upper Kaw during the flood of 2009 to retrace the footsteps of eccentric French explorer Etienne de Veniard Sieur de Bourgmont deep into the homeland of the Kansa tribe in 1724. 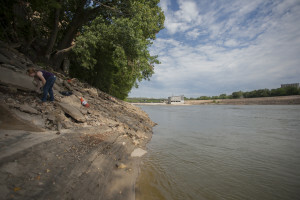 It also tracks the resurgence of the Kaw in the last 20 years, including interviews with former river keeper Laura Calwell, legendary Kansas paddler T.J. Hittle, and many others. 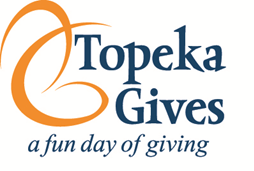 The Topeka Community Foundation will provide $73,500.00 in “match” money for contributions made to support 158 different nonprofit organizations in the community, including our own Friends of the Kaw! This is a kid-friendly, hands-on event with activities for all. We have been awarded several grants this spring….we are going to be busy! Mid America Regional Council – $,1778 to initiate our Adopt-A-Boat Ramp Program in Wyandotte County. Unified Government of Wyandotte County – $5,000 for stormwater education in Wyandotte County. 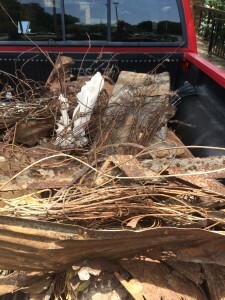 REI, Seattle, WA – $5,000 for Kansas River cleanups. Thank you to all of these great organizations for the opportunities to take care of our Kansas River and educate!